Whether you like to swim laps or you enjoy taking water aerobics classes, swimming is great for almost everyone! It’s a low impact workout and a great way to get fit. The resistance of the water is great for building strength and cardiovascular fitness. Many people who find discomfort from treadmills or ellipticals find the water to be easy on their joints and much more comfortable. 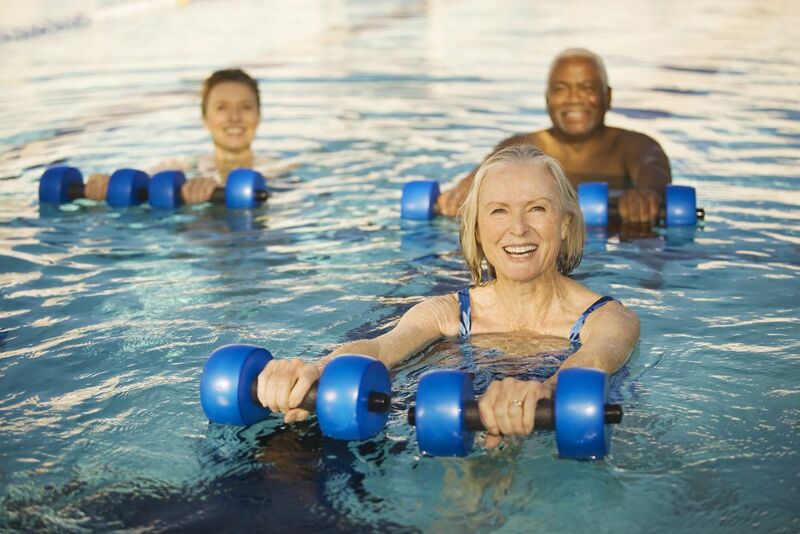 LivRite offers a variety of water aerobics classes to choose from, check to see if your LivRite has a water aerobics program and which classes are offered! Come enjoy our 87° heated indoor pool!